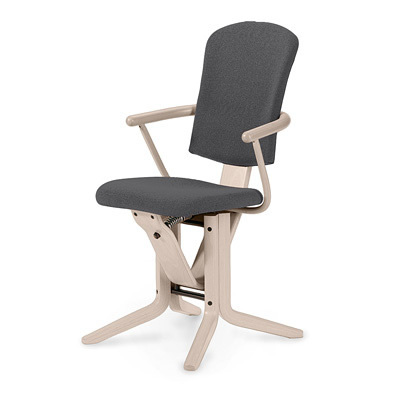 The gentle rocking motion of the seat and back sections supports and provides relief to the back muscles. The MOIZI 19 promotes this healthy alternation which relaxes the back and prevents tension. The characteristic gentle rocking movement of the seat and back units can be adjusted independently according to the weight of the user. Your guests will enjoy sitting in this chair for a very long time.